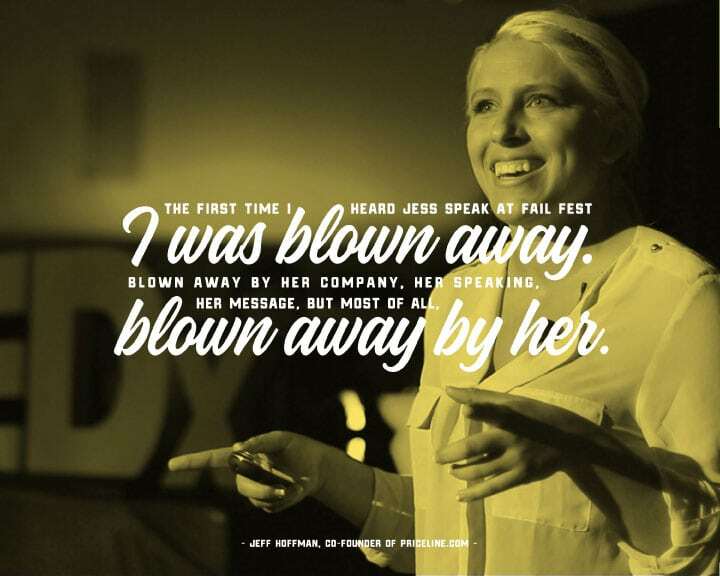 Jess Ekstrom started a give-back company when she was in college and it quickly went viral. 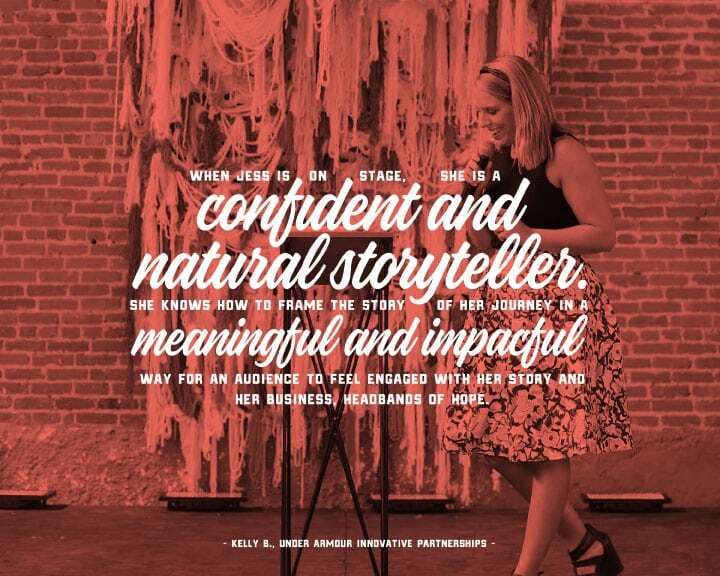 From Good Morning America to Vanity Fair, her company and message made ripples around the world. Jess uses her experiences and humor to inspire students to crush stereotypes, identify their purpose, and create their own definition of success. ▪Headbands of Hope: How it Started With a SPARK! 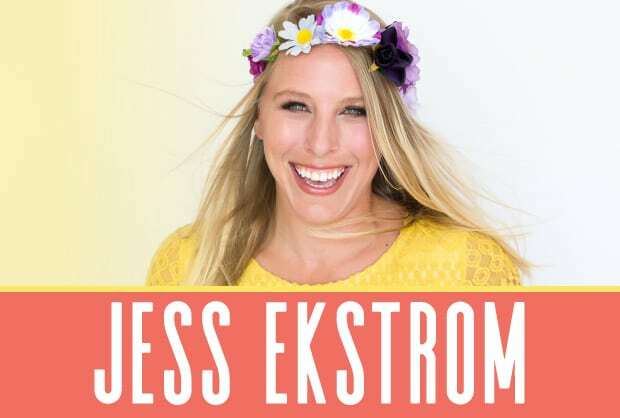 Jess Ekstrom started a give-back company when she was in college and it quickly went viral. From Good Morning America to Vanity Fair, her company and message made ripples around the world. Jess was also recently voted as Women’s Health Magazine’s 2017 Ultimate Game Changer winner for the work she has done with her company, Headbands of Hope! During her junior year of college, Jess started her own company, Headbands of Hope, to help brighten the lives of children battling cancer. For every headband purchased, one is given to a girl with cancer. Jess works full-time as the CEO of the company, regularly visits hospitals around the country to deliver headbands to girls and visits campuses nationwide to share her story of how she turned a summer internship into an organization that changes the world. Jess decided to put all of her tips and tricks (and mistakes) into a guide to help others who are about to embark on their college journey. Her book, The Freshman Fabulous: The Girl’s Guide to College, is available on Amazon. Jess is a 2013 graduate of North Carolina State University. Headbands of Hope: How it Started With a SPARK! One small moment can create a spark, which changes your life forever. During the summer of her junior year, Jess Ekstrom worked for the Make-a-Wish Foundation. As she interacted with children facing life-threatening illnesses, she discovered that young girls loved to wear headbands instead of wigs after losing their hair to chemotherapy. Armed with inspiration to do good beyond her internships, she soon after founded Headbands of Hope. Headbands of Hope creates fun, fashionable headbands – and for every headband purchased, one is given to a girl with cancer. Since launching the organization in 2012, Headbands of Hope has been featured on The Today Show, Seventeen Magazine, Forbes, Entrepreneur.com and more. Most importantly, Headbands of Hope has donated headbands to every children’s hospital in the United States. So many college students want to make a difference, and plan to do it “someday.” Jess is living proof that a college student with an amazing idea and a willingness to act on it need not wait. College students can build companies, affect change, and solve problems before graduation if they have the commitment. In her campus keynote, Jess shares her journey creating Headbands of Hope, encouraging audience members to change awareness of issues into action. Jess is an excellent choice for programs that promote leadership, social change and making the most of your college experience. Consider her whenever you are promoting service and social change to students. Consider her for women’s achievement seminars, new student orientation, leadership conferences and more. She is also a fantastic option for Panhellenic councils looking for an example of a woman who put the value of service into action. understanding failure is key to growth and success. The voice in our head is our internal dialogue we have with our feelings, decisions and actions. We’re not just out in this world aimlessly reacting to anything and everything without thought. We have a buffer in our head that puts a space between our world and how we feel and respond. We have a conversation with ourselves just like we’d have with a friend. The story we write in our head tells us how we’re going to respond. Are we good enough? Up for the challenge? Is it the “right” time? Whatever the answer, the voice in our head will tell us, and frankly, sometimes it doesn’t know what the heck it’s talking about. And sometimes, girlfriend is whack. It tells us we shouldn’t apply for the job or it’s not the right time or we’re not good enough or it feeds off of all the negativity. So what happens when we change the dialogue? When Jess first started her company, Headbands of Hope, as a college student, she had a rough start. She wired $10k (of all the money she had) and a loan from her dad, to a manufacturer for her first round of production. After the money was wired, she never heard from them again and the money disappeared. She thought about giving up, but realized she believed in the business too much to let it go before it began. She brushed herself off, got a $300 grant from her university, and created a million- dollar company that has impacted hundreds of thousands of kids with cancer. Jess was discouraged in the beginning when she saw other people’s success stories on social media or in articles. She thought, ‘why is it so easy for them and so hard for me?’ She didn’t understand why she was running into so many hurdles and didn’t feel like anyone else was until her mom forwarded an article from the founder of Airbnb. He leaked five investor rejection emails who passed on the opportunity to get in early on Airbnb. The emails showed rejection after rejection, stating the potential market opportunity isn’t big enough or they just flat out weren’t interested. Airbnb is now a $31 billion-dollar company. The article showed Jess that it wasn’t just an ‘aha’ moment that exploded overnight into a household name (which is how a lot of people paint their story). In fact, each failure made her stronger. When people are honest and disclose the real story about their start before their success, it humanizes the hustle. You don’t have to graduate from a top school or have years of high-level experience to do great things. You can make mistakes (big ones, too) and still make it. But when we pretend it’s smooth sailing or blame our success to luck or being in the right place at the right time, it paints a false picture that can make people turn around at the first sign of adversity. This keynote will tell an honest tale of Jess and others who went for their dreams, whether that’s starting a business, getting your dream job, running a race, or becoming the school mascot. Students will learn to humanize the success by honoring the struggle. that in order to be resilient, you have to believe in the end result. Has community service become a requirement? Is it something we have to do to please those evaluating us? From college applications to campus awards, so many students are engaging in service projects within their organizations, but are they really making the connection to the good work they are doing? In this keynote, Jess Ekstrom encourages student leaders to “redefine philanthropy” from a requirement to a lifestyle. Jess uses examples from her own development as a student leader and philanthropic professional. As founder of Headbands of Hope, she has learned the amazing power of service – changing thousands of children’s lives. She understands that service often means doing grunt work, but she knows how a connection to those who are served makes all of it worthwhile. When Jess walks into the hospital and sees a girl’s face light up, she understands what success means. Jess reminds audiences that making that connection is the key to finding meaning in community service and social change. By connecting other students to the inspiration of service, they can raise more money, solve more problems, build better leaders and change their communities. Sometimes, creating that inspiration means taking risks and coloring outside the lines, she says. If students at your campus need to make a stronger connection between their service activities and the ethics of service, this program will open their eyes and hearts. If you are planning a large campus service event (dance marathon, Relay for Life, etc. ), Jess will get your coordinators better equipped to communicate crucial messages to other students. how to transition inspiration into an action plan.